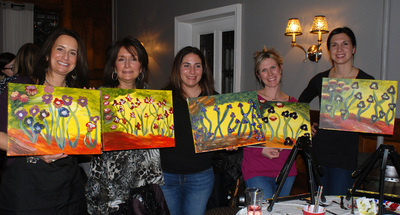 ﻿VENUE PAINTING PARTIES • KIDS PAINTING PARTIES • CORPORATE EVENTS • FUNDRAISING EVENTS • BACHELORETTE PARTIES • PRIVATE PAINTING PARTIES. YOU NAME IT, WE'LL DO IT! NO EXPERIENCE NECESSARY! 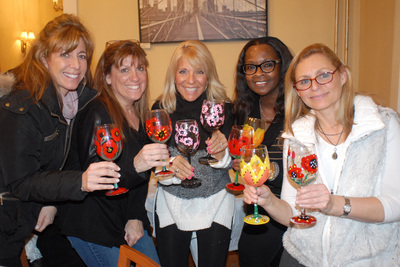 ﻿Check out PUBLIC EVENTS to register for an event you would like to attend or contact us if you'd like to host a private party. 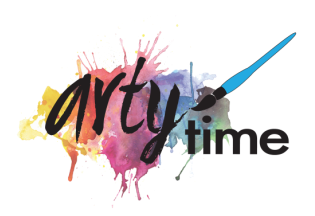 ​Artytime is a mobile business offering painting parties for all ages at a variety of private and local establishments around Rockland and Bergen Counties. 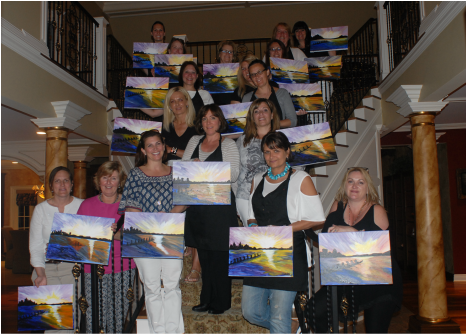 Relax and enjoy an entertaining environment while creating your own masterpiece with the assistance of a talented artist and instructor. 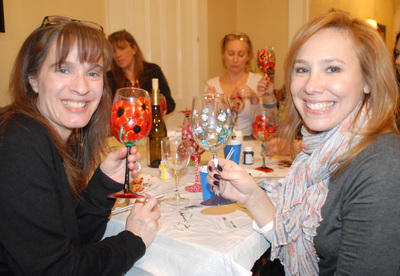 Supplies and instruction are included. NO EXPERIENCE NECESSARY! 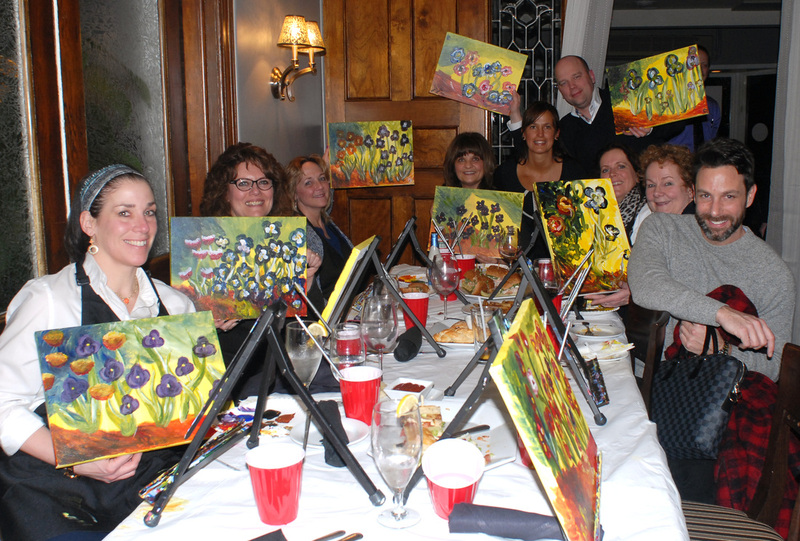 You are sure to be amazed at what you're able to create. We will guide you step-by-step through the process of creating your very own original work of art! With step-by-step instruction and all art supplies included, add a splash of color to your private, corporate, church, temple, bachelorette or any kind of event! 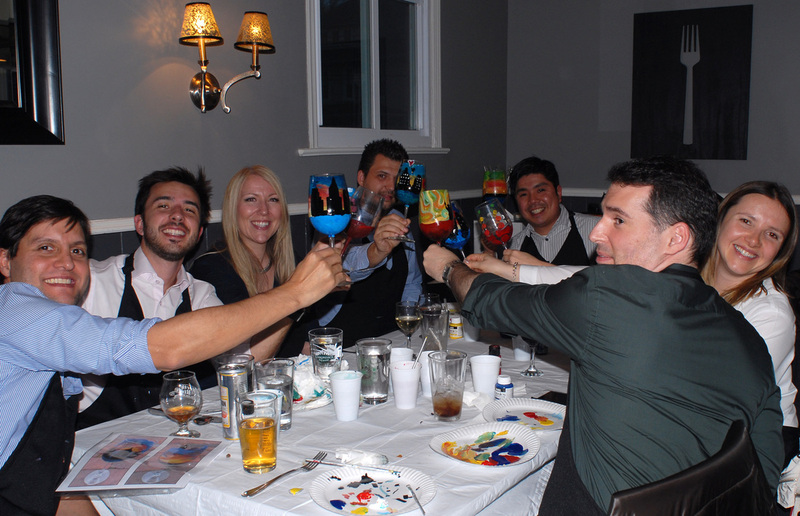 Parties and events with as few as 10 to as many as 50 painters welcome. Paint the night away on glass at your favorite venue or have a private party in your home! 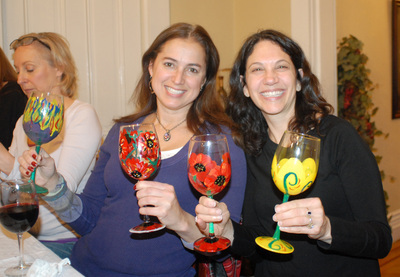 ​A set of 2 wine glasses, champagne glasses, a platter, wine bottle or glass of your choice! 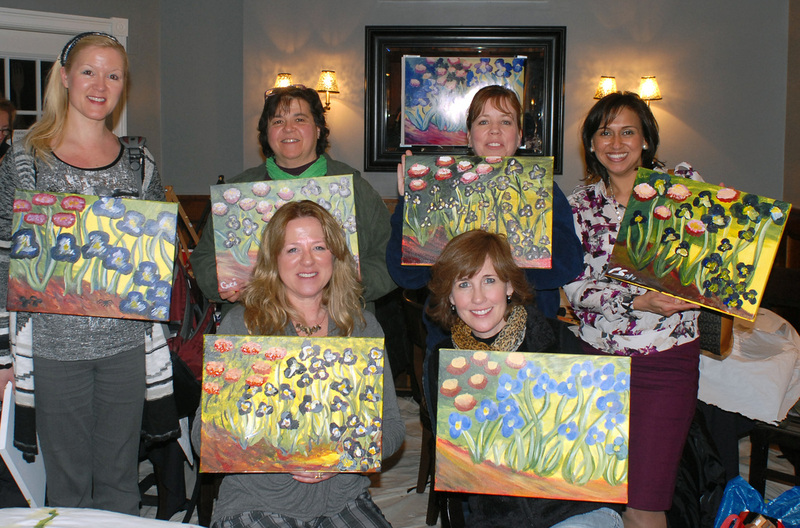 "Wine and painting...what can be better...except the instructor...Wendy is absolutely amazing. A must do!!!"